In honor of the 200th anniversary of Charles Darwin’s birthday, the American Humanist Association held a luncheon at the National Press Club in Washington, D.C., featuring a range of engaging speakers who discussed Darwin’s role in shaping religion and science. Meanwhile, elsewhere in the country and around the world, Darwin Day was being widely celebrated by humanist and scientific groups. Some observances took place on the weekend prior to February 12. 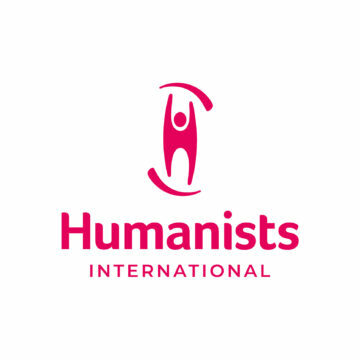 Among the notable humanist celebrations are a day-long event at Harvard University today and an evening program at the University of Colorado at Boulder on February 14. That Darwin Day is quickly becoming a mainstream phenomenon was evidenced today when the governor of Massachusetts, Deval Patrick, issued a proclamation recognizing Darwin for his landmark scientific achievements. He declared February 12 this year and hereafter as Darwin Day in Massachusetts. At the luncheon in Washington, D.C., the American Humanist Association announced the acquisition of www.darwinday.org/ , an informational website about Charles Darwin and the Darwin Day Celebration. It has served for the last few years as “Darwin Day central” for all who would celebrate Charles Darwin’s birthday. It will be used to keep the Darwin Day observance alive in the years to come. The luncheon program featured Robert Price, a humanist biblical scholar, who spoke on the ways in which religions have been forced to evolve since Darwin’s groundbreaking theory shocked the world. Other speakers at the event included Fred Edwords, communications director of the American Humanist Association and creationism expert, who discussed how creationists have changed their tactics to challenge evolution and teach intelligent design in public schools; and Jennifer Kalmanson, a space scientist at Orbital Sciences Corp., who spoke on the history of heresy.